N RECENT days government employees across China, from postal officials in the north-east to tax auditors in the south-west, have been corralled into watching state television. The Communist Party often orders bureaucrats to study propaganda. This time, however, the mandatory viewing has deviated from the usual themes of domestic politics and economic development. Instead, it has focused on China’s emergence as a global power, and the role of the president, Xi Jinping, in bringing this about.In late August and early September the state broadcaster aired six 45-minute programmes on this topic at peak viewing hours. The Chinese title could be rendered as “Great-Power Diplomacy”, but some state media prefer to call it “Major-Country Diplomacy”. That sounds a little more modest. Describing China’s growing global clout has long been a problem for propagandists. In 2003 they seemed to have settled on the term “peaceful rise”, only to abandon it a few months later in favour of “peaceful development”—the word “rise”, they thought, risked causing alarm abroad. 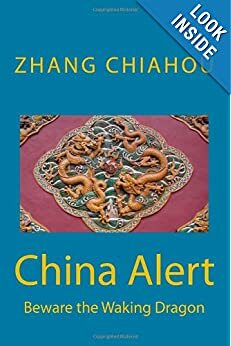 There is not a hint of reticence, however, in the series’ portrayal of China’s purported foreign-policy successes under Mr Xi, and his personal involvement in them. The programmes, made with the help of the party’s own Publicity Department, are peppered with fawning remarks by Chinese and foreigners alike. In a clip from a speech given in 2015, Zimbabwe’s leader, Robert Mugabe, says of the smiling Mr Xi: “We will say he is a God-sent person.” (China has long admired Mr Mugabe’s contempt for the West.) “I really liked him, we had a great chemistry, I think,” America’s president, Donald Trump, is shown telling an American television interviewer after meeting Mr Xi in Florida in April. The main message is that Mr Xi is responsible for crafting a new approach to foreign policy that has won China global admiration: “great-power diplomacy with Chinese characteristics”. Mr Xi emphasised the need for this in November 2014 in a speech on foreign affairs (official translations of which often used the words “major country” instead). Last year the term appeared for the first time in the government’s annual work report. Like Deng Xiaoping’s “socialism with Chinese characteristics”, the phrase serves more to obfuscate than enlighten. The nub of it is said to be “win-win co-operation”. But its introduction marked a clear departure from Deng’s more reticent approach to foreign policy, which was often described in China as taoguang yanghui, or “hiding brightness, nourishing obscurity”. By contrast, in the television series, the narrator says: “Maintaining world peace and stability is the unshirkable responsibility and burden of a great power.” It shows Chinese troops evacuating Chinese (and others) from strife-torn Yemen in 2015, the Chinese navy on anti-piracy missions off the Horn of Africa and Chinese marines setting off in July to establish the country’s first overseas military base in Djibouti. While the series was being aired, a party newspaper published an article by the foreign minister, Wang Yi, on Mr Xi’s “diplomatic thought”. It said the president’s approach to foreign affairs had “blazed new trails and gone beyond traditional Western international-relations theory of the past 300 years”. 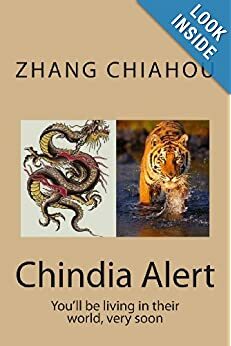 The programmes aim to show that, unlike other rising powers in history, China (thanks to Mr Xi) has managed to maintain stable relations with established powers. They gloss over huge underlying tensions with Japan and America. Time and again Mr Xi is shown standing still while foreign leaders walk towards him to shake his hand. “It’s the ancient Chinese tributary system re-enacted,” says a Chinese academic, referring to emissaries from neighbouring states who brought gifts to the Chinese emperor as a means of securing peace. But for all the talk of Mr Xi’s skills as a global leader, he still shares Deng’s aversion to risk-taking abroad. The series skates over the crisis on the Korean peninsula (a day after the final episode was shown, North Korea tested what appeared to be a hydrogen bomb.) Mr Xi’s great-power diplomacy had clearly failed to avert a grave international crisis—one that has developed not least as a result of China sitting on its hands. What is Donald Trump’s vision of American leadership? His inaugural speech gave us a headline – “from this day forward, it’s going to be only America first” – but four months on, how much more do we know? Amid a flood of stories about the president’s lack of commitment to cherished post-war alliances, his attitude to trade and his unwillingness to collaborate on issues like climate change, Mr Trump’s critics draw pessimistic conclusions. “The cumulative effect of Trump policies, capped by his foolish, tragic Paris decision = abdication of America’s global leadership. Shame!” tweeted Susan Rice, Barack Obama’s former national security adviser.”Donald Trump’s every instinct runs counter to the ideas that have underpinned the post-war international system,” writes G John Ikenberry, Professor of Politics and International Affairs at Princeton. However, in the wake of President Trump’s first, much scrutinised foreign trip, two of his closest aides argued that America’s allies have nothing to fear.”America First does not mean America alone,” wrote White House National Security Adviser HR McMaster and National Economic Council Director Gary Cohn in the Wall Street Journal. The president, they insisted, had reconfirmed America’s commitment to the Nato principle of collective defence (there is a debate about this: his endorsement was less than explicit). Using a pejorative phrase often thrown at Barack Obama, the authors said America would not “lead from behind”. They also made it clear that the president’s approach is fundamentally transactional and highly competitive. They hailed Donald Trump’s “clear-eyed outlook that the world is not a ‘global community’ but an arena where nations, non-governmental actors and businesses engage and compete for advantage”. Where America’s interests align with those of its friends and partners, they wrote, the administration was open to working together to solve problems. But the two officials signed off with an unambiguous reminder of their master’s core purpose. “America First signals the restoration of American leadership and our government’s traditional role overseas – to use the diplomatic, economic and military resources of the US to enhance American security, promote American prosperity, and extend American influence around the world. “No place here, it seems, for Harry Truman’s 1945 declaration that “no matter how great our strength… we must deny ourselves the license to do always as we please”. For Donald Trump, the exercise of American influence revolves around imposing Washington’s will. “We must make America respected again and we must make America great again,” he declared in April 2016. There were times, during the European leg of his tour, when the president’s body language and demeanour seemed calculated to confirm his opponents’ worst fears. When he shoved aside the prime minister of Montenegro, Donald Trump seemed to act out an ugly version of America First. A billionaire who is used to bending friend and foe alike to his will appears to struggle with anything more collaborative. But there are signs that his muscular approach, while popular among supporters at home, has already caused a shift in the tectonic plates of the global world order. We Europeans truly have to take our fate into our own hands,” she told supporters last Sunday. She struck a similar note when welcoming the Chinese Premier Li Keqiang to Berlin. For his part, Mr Li seemed only too happy to reciprocate. “We are both ready to contribute to stability in the world,” he said.It’s been clear since Donald Trump’s election that China sees this as a moment of opportunity. China is not being pushy, foreign ministry official Zhang Jun told reporters in January. “It’s because the original front-runners suddenly fell back and pushed China to the front,” he said. At the World Economic Forum in Davos it was left to China’s President Xi Jinping to defend globalisation and free trade, both frequently and colourfully attacked during Donald Trump’s election campaign. The EU and Nato also came in for scorn, and even though President Trump has subsequently moderated his tone, damage has undoubtedly been done. David Frum reaches a bleak conclusion. America is no longer the leader its partners once respected “but an unpredictable and dangerous force in world affairs, itself to be contained and deterred by new coalitions of ex-friends”. Tags: US abandons global leadership?